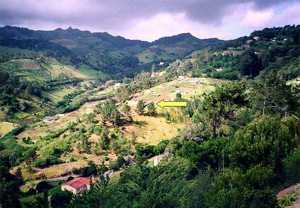 Before the building of the Bahá’í Centre, members of the Bahá’í community met in each other’s homes, which were situated in different parts of the island. Though this gave a homely atmosphere to meetings, it limited what Bahá’ís could do as a community. A Centre gave us our own place of worship. With more space in a central locality, it has allowed more activities to take place, such as Public meetings and Children’s classes. 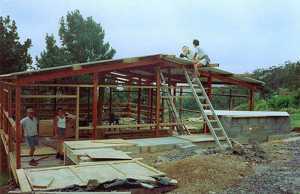 Please read on to learn about the building of the Bahá’í Centre and the people involved in the project. 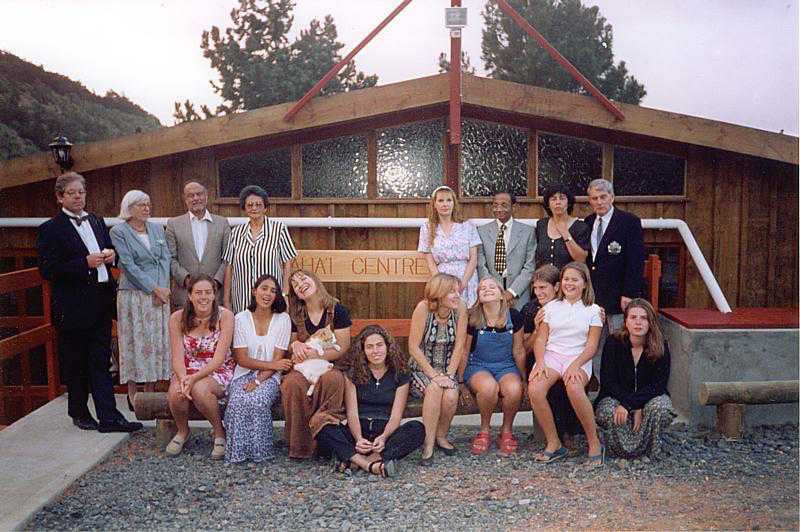 Early in 1997, one of our youth serving at the Bahá’í World Centre in the Holy Land suggested that youth returning home from service there could be re-routed to visit St Helena. The local Bahá’í Assembly agreed and the Lighthouse Project was born. The Assembly realised that together with help from the youth, we could build a Bahá’í Centre on land purchased some years earlier. The Bahá’í property is situated in the interior of the island in a beautiful wooded area called the Gumwoods, named after endemic flora that had existed there when St Helena was discovered. The Centre was designed to blend into the parkland surroundings and is the only building in the past 100 years or more to be made almost entirely of local timber. 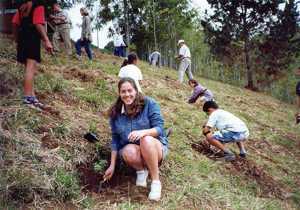 Part of the open ground was reforested and some more endemic gumwoods were planted in support of St Helena’s Environmental Awareness Year in 1999, when some of the Bahá’í Youth returned to assist with this venture. The Bahá’í Centre is simply and tastefully designed. It is on a split-level. On the top level there is the main room where meetings are held. From there extends a large covered decking under which are toilet and washroom facilities as well as a storeroom. The excavation of the site took place in July 1997 and the first visiting youth arrived in August. The actual building was done by members of the local Bahá’í Community and the Bahá’í Youth from other countries: USA, South Africa, Northern Ireland, Eire, Solomon Islands, UK and Russia, some of them returning home later from service in Haifa. 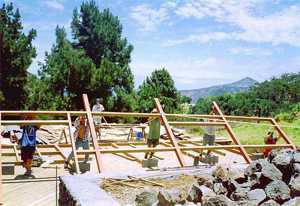 One of the local Bahá’ís supervised the construction and set the young people daily tasks. They all stayed in a house nearby and worked on the project. 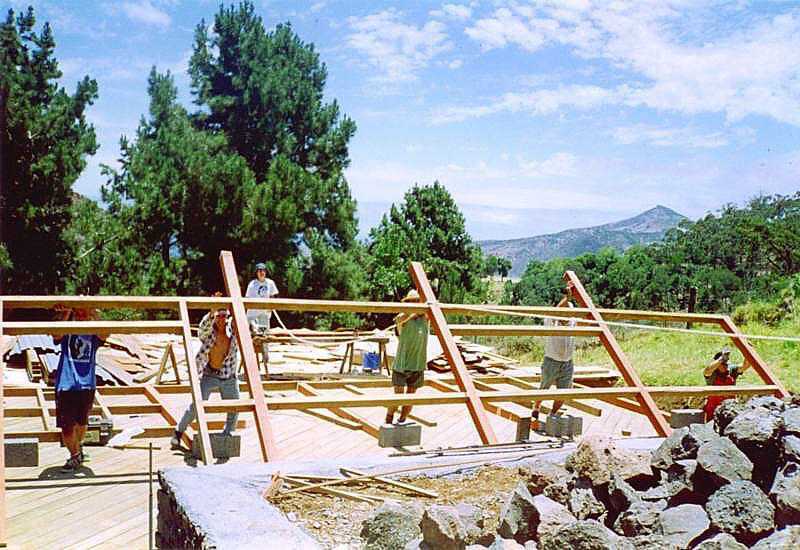 The local Bahá’ís of all ages and the visiting youth, sometimes assisted by friends made in St Helena, all worked together contributing whatever talents and resources they had to make the Lighthouse Project a success. 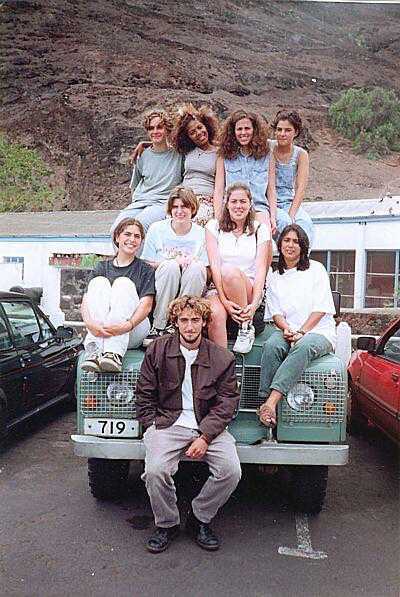 The Youth made many friends in St Helena through their social activities, school and public dance presentations, assistance to schools, children’s classes and fireside meetings. This was a wonderful time of dedication, joy and happiness, which inspired many young people. The building of the Centre is an example of the Bahá’í Faith in action, representing one of its main principles: what can be achieved when people from different countries and walks of life come together in unity. The building was completed within a year and the Opening took place on 22nd June 1998. Jagdish Saminaden returned to open the Centre. The guests commented on the quiet and peaceful atmosphere. The Bahá’í Centre stands as a place where people from all different backgrounds and religions can meet together, share thoughts and experiences and pray for harmony in the community and the world.